When the weather outside is hot and uncomfortable, homeowners seek shelter in their homes, looking for a cool place to relax away from the relentless heat. However, running the average central air conditioning unit in an energy-efficient home can cost about $115 per month at the current rising cost of electricity. Attic fans and whole house fans may provide help with these costs under the right conditions and in the right climates. We offer the differences between the two types of fans below to help you decide if one of them is the correct choice for your situation. An attic fan is installed in the attic and blows hot air out through a roof-level or gable vent. Outside air is pulled through roof and soffit 1 vents, keeping the attic cooler. The theory behind attic fans is that they help prevent the transfer of heat from a hot attic to the living space below. The heat in an attic on a hot day can be 20 degrees Fahrenheit or higher than the outside temperature, and using an attic fan can reduce the temperature in the attic by at least 50 degrees and in the highest floor of the home by as much as 10 degrees. Also, lowering the attic’s temperature can extend the life of major housing components like mechanical devices, wiring, roofing, and framing. Even though it is also in the attic, a whole house fan is installed in the ceiling of the home, usually in the ceiling of a central hallway. When running, it pulls warm air from the home’s living spaces into the attic. This draws in cooler air through the home’s open windows and doors. These fans can provide a home with 30 to 60 air changes per hour depending on the home’s floor plan, climate, and fan size. This results in turning over enough air to cool a home in approximately one hour. Once the sun rises and outdoor temperatures increase, the fan is shut off and the windows are closed to preserve the cooler air until the evening. Attic fans are most effective during the hottest part of the day, and they are usually controlled by a timer, thermostat 2, or humidistat. In contrast, whole house fans are most effective in the cooler temperatures of the evening and early morning. The ideal temperature outside is at least 5 degrees Fahrenheit below the desired indoor temperature. While attic fans meet their goal of cooling attic air in any high-temperature climate, whole house fans are of more use in lower-humidity climates with hot days and cool nights. Attic fans can also be used in the winter for different purposes. In cold climates where ice and snow are common, the use of an attic fan can pull moisture out of the attic to prevent mold and mildew from winter humidity. Also, pulling air through the roof and soffit 1 vents can prevent dangerous ice dams from forming that will block moisture from draining off the roof. This water can back up beneath the shingles 3, causing rot to set in. For best results, a whole house fan should not be used in combination with a central air conditioning unit on a daily basis. Running the humid outside air through the central unit all day creates extra strain on the air conditioning system. This isn’t to say that a home should not have a central air conditioning system and a whole house fan. In the heat of summer, when nighttime temperatures remain above 80 degrees Fahrenheit, a central air unit can be used effectively. During the cool evening temperatures of spring and fall, the whole house fan may be a better option than running the home’s air conditioning system. Attic fans are easier to install than whole house fans because of their location and size. Installing a smaller fan on the roofline 1 or in the gable is easier than putting a much larger fan in the ceiling of the home. Even though one is less difficult, both projects should only be tackled by professionals. Both require electricians to correctly wire the new fans and carpenters to cut the hole for the fan. 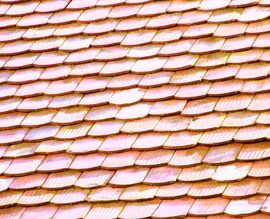 An attic fan installed on the roof may need a roofer to ensure that it is well sealed in relation to the shingles 3. 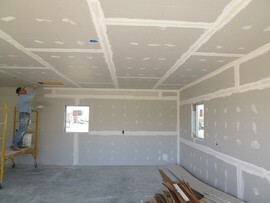 A whole house fan installation also requires the skills of a sheetrock 4 specialist and finisher to maintain the appearance of the home’s interior. Also, only a professional should assess the ventilation needs of each fan and correctly install additional vents, sometimes two to four times the amount of vent space required by building codes. The less expensive of the two types of fans is the electric attic fan with an average cost of approximately $250 to $350 installed. A solar-powered attic fan will average $600 installed. For example, an electric fan adequate for venting a 2,500-square-foot attic would cost about $149. Adding a humidistat would cost about $39. Professional labor to complete the installation would be about $87 for a total of $275 for the project. The average cost for a whole house fan to be installed would be approximately $900 to $1,530. 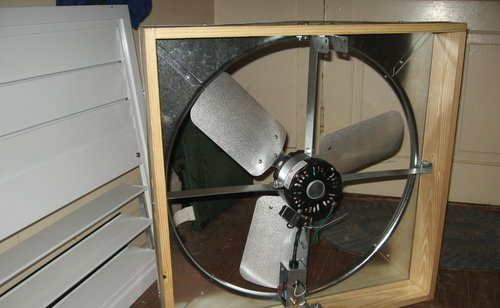 For example, a pair of fans that would serve a 2,500-square-foot home would cost about $725. This would include an insulated winter closure, ceiling grill, remote control, and timer. The two exhaust gable vents needed would cost about $143 for the pair. Professional labor for the installation would be about $165 for a total of $1,033 for the project. The average attic fan draws less than 300 watts, making it seem like an energy-efficient home improvement, but some professionals in the field claim that attic fans are not a cost-saving investment. Many users, however, claim an attic fan is a money saver, but they do not offer documented proof of the savings. The debate has caught the attention of some state legislatures. As a matter of fact, in its 2009 Energy Conservation Code, the state of Georgia banned the use of electric attic fans because they determined that they were not energy efficient. Doubters of attic fan efficiency claim that even solar-powered attic fans, which cost more initially but run “off the grid,” can take 20 years to provide a return on the investment. When the conditions are right, whole house fans are an energy-efficient alternative to central air conditioning systems. 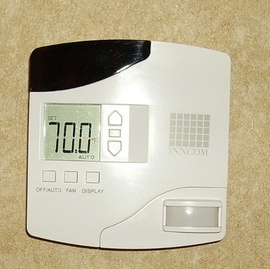 A whole house fan will draw 200 to 700 watts, about 10 percent of a central unit, which will draw 2,000 to 5,000 watts. This means running the whole house fan will cost approximately 90 percent less than running a central air conditioning unit for the same amount of time. One energy concern with whole house fans is heat loss in the winter. To maintain energy efficiency when it is not in use, the outlet for the whole house fan should be sealed to prevent heat from escaping into the attic. Some fans come with insulated closures that make this easier than having to physically cover the fan’s outlet with an insulated cover. Noise can be a problem with whole house fans. However, newer models are quieter than those of the past. In addition, bigger fans can run at lower speeds and produce less noise than smaller fans at higher speeds. Rubber or felt gaskets 5 will help dampen the noise as well. A home with an attic fan must be completely sealed between the living area and attic. 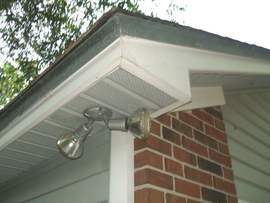 It also must have sufficient soffit 1 and roof ventilation for the intake of air into the attic. Otherwise, the fan will actually pull air-conditioned air from the living area through cracks in the ceiling, forcing the home’s air conditioner to work harder. Another concern is that with inadequate ventilation, the attic fan can create backdrafting conditions with combustion-powered appliances, such as gas stoves and gas water heaters. Backdrafts can lead to the pull of deadly carbon monoxide into the home. Because it brings the outside air in, a whole house fan is a poor choice for allergy sufferers, especially in dust or pollen-filled areas. Due to the largely negative views on attic fans in the past several years, having one will not increase a home’s resale value. At the same time, having an attic fan should not hurt the home’s value or cause it to be more difficult to sell. The new owners could simply not use the fan if they do not believe in its value. On the other hand, a whole house fan can improve the resale value of a home in an area with the right climate. Because government energy experts say that a whole house fan can meet most of the cooling needs in these specific areas, potential buyers will likely see such a fan as a green alternative to central air conditioning. How much does it cost to install an attic fan or a whole house fan in my city? Cost to install an attic fan or a whole house fan varies greatly by region (and even by zip code). To get free estimates from local contractors, please indicate yours.